Woorise is giving away a new brand DJI Phantom 4 Drone. All-new DJI Phantom camera with 1-inch 20MP Exmor R CMOS sensor, longer flight time and smarter features. All you need to do to enter is to follow the steps bellow! Follow us to get updates for the next one! 1. 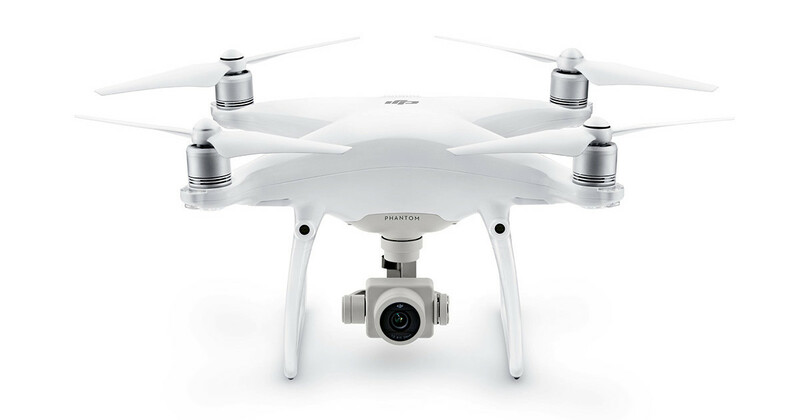 Promotion Description: The DJI Phantom 4 Drone Giveaway (\"Giveaway\") begins on Thursday, December 29 at 9:00AM UTC Time and ends on Tuesday, January 31 at 10PM UTC Time (the \"Promotion Period\"). By participating in the Giveaway, each entrant unconditionally accepts and agrees to comply with and abide by these Official Rules and the decisions of Woorise.com (\"Sponsor\"), which shall be final and binding in all respects. Sponsor is responsible for the collection, submission or processing of Entries and the overall administration of the giveaway. Entrants should look solely to Sponsor with any questions, comments or problems related to the Giveaway. 3. Winner Selection: The winner of the Giveaway will be selected in a random drawing from among all eligible Entries received throughout the Promotion Period. The random drawing will be conducted within 72 hours after giveaway end date by Sponsor or its designated representatives, whose decisions are final. The winners will be announced via email and the Woorise.com Facebook page (http://facebook.com/woorise) by February 3, 2017. Odds of winning will vary depending on the number of eligible Entries received. Winner must accept a prize by email as directed by Sponsor within 48 hours of notification. Any winner notification not responded to or returned as undeliverable will result in prize forfeiture. An alternate winner may be selected at the Sponsor’s discretion. The prize winner may be required to sign and return an affidavit of eligibility and release of liability, and a Publicity Release (collectively \"the Prize Claim Documents\"). No substitution or transfer of a prize is permitted except by Sponsor. 4. Prize: One (1) winner will receive the Grand Prize of a brand new DJI Phantom 4 Drone. Sponsor will purchase and ship to the winner. Only one prize per person and per household will be awarded. Prizes cannot be transferred, redeemed for cash or substituted by winner. Sponsor reserves the right in its sole and absolute discretion to award a substitute prize of equal or greater value if a prize described in these Official Rules is unavailable or cannot be awarded, in whole or in part, for any reason. Sponsor makes no representation or warranty concerning the appearance, safety or performance of any prize awarded. Restrictions, conditions, and limitations may apply. Sponsor will not replace any lost or stolen prize items. All federal, state and/or local taxes, fees, and surcharges are the sole responsibility of the prize winner. Failure to comply with the Official Rules will result in forfeiture of the prize. 5. Online Entry: Enter the Giveaway during the Promotion Period online by signing into the entry form and performing the tasks required. The entry form can be found at https://woorise.com/wr/114. Automated or robotic Entries submitted by individuals or organizations will be disqualified. Internet entry must be made by the entrant. Any attempt by an entrant to obtain more than the stated number of Entries by using multiple/different email addresses, identities, registrations, logins or any other methods, including, but not limited to, commercial giveaway/sweepstakes subscription notification and/or entering services, will void that entrant\'s Entries and that entrant may be disqualified. Final eligibility for the award of any prize is subject to eligibility verification as set forth below. All Entries must be posted by the end of the Promotion Period in order to participate. Sponsor\'s database clock will be the official time keeper for this Giveaway. 10. Email: Entrants acknowledge that they are providing their contact name and email in order to be contacted about giveaway details, including winner announcements. By entering you also agree to receive occasional email communications from Woorise.com including but not limited to Giveaway updates, newsletters and relevant promotional offers from 3rd parties as well as Woorise.com. You may unsubscribe from these emails at any time via the unsubscribe link provided, or indicate your preference in an email to info@woorise.com.